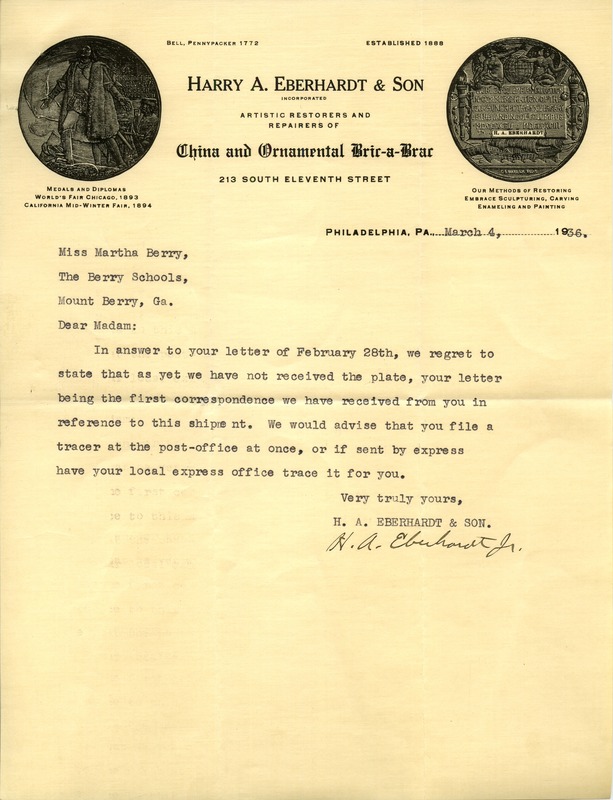 Martha Berry Digital Archive | Letter to Martha Berry from Harry A. Eberhardt Jr.
Harry A. Eberhardt Jr., “Letter to Martha Berry from Harry A. Eberhardt Jr..” Martha Berry Digital Archive. Eds. Schlitz, Stephanie A., Olivia Mund, Andrea Rodgers, Chelsea Risley, et al. Mount Berry: Berry College, 2014. accessed April 18, 2019, https://mbda.berry.edu/items/show/13622.